For decades, local, state, and federal organizations have invested in technology to incrementally improve how they educate, protect and serve their citizens. In the Digital Era, organizations use technology to optimize operations for efficiency, engage customers with better experiences, empower employees to make decisions, and transform services that governments and institutions provide to their citizens. Digital transformation is not simply about technology; it requires business leaders to reimagine existing business models and embrace a different way of bringing together people, processes, technology and data to create value for their customers through data-driven intelligent systems. Microsoft’s Digital Advisory Services (DAS) – led by Digital Advisors – is at the forefront of this once-in-a-generation opportunity to fulfill Microsoft’s mission to empower every person and every organization on the planet to achieve more. Digital transformation requires a cultural shift, and Microsoft Digital Advisors guide organizations through their digital journey. They help organizations as they reimagine and transform customer engagements, employee experiences, business models and operations. Digital Advisors bring their expertise, as well as Microsoft’s vast resources, experience and innovation, to empower organizations to reach their digital aspirations. Partnering with organizations, Digital Advisors drive a program of change, aligned with customer objectives, to build the digital business. Microsoft values different life experiences and viewpoints. We seek out people from diverse backgrounds and encourage them to take risks and approach challenges unconventionally. We will invest in your health and financial future and encourage you to pursue your interests and passions away from the office. Our culture, products and technologies help you balance life away from the office and enable you to manage your schedule efficiently. Join us as a Digital Advisor and be one who empowers billions! Microsoft positions Digital Advisors as trusted partners to the most senior business and technical decision makers. As a Digital Advisor, your ability to develop relationships with business leaders, to help them think about their business and customers in the context of digital possibilities, and collaborate on a vision will guide organizations to create an aspirational plan that formalizes their digital vision and enables them to achieve more. Are you ready to seize an opportunity to work with Microsoft's most established customers, advising and supporting their executives with the planning and realization of key initiatives? Are you focused on creating value with digital technologies? 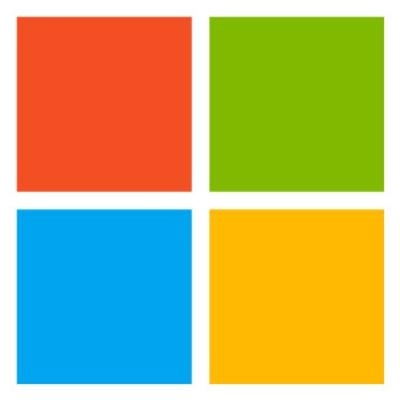 If so, the Digital Advisor position, within Microsoft’s Digital Advisory Services, is a unique career opportunity for you! - You guide customers as they re-imagine and embark on their end-to-end digital transformation journey. - You lead the creation of a digital unit that includes the Microsoft and customer team that will make it happen. Our Digital Advisors know their customer’s business, the industry(s) in which they operate, and how Microsoft can help them drive their digital transformation. The broad scope of responsibility of this role requires a solid understanding of both business and technology strategy and a principled approach to broad digital transformational challenges and opportunities including strong leadership and people skills. The Digital Advisor position is a senior individual contributor equivalent to a consulting services senior manager, director, associate partner or corporate line-of-business CxO. Digital Advisors must have a proven track record with a multi-year history of successfully driving major, enterprise-wide programs of change. The role requires expertise with Business or Digital Architecture concepts and the ability to analyze and influence alignment between business and IT. A Digital Advisor must be able to lead C-level executive discussions that communicate the value of change and relevant architectures to business stakeholders (TCO, ROI, NPV, CAPM). The detail below provides specific criteria that the hiring team covers in the interview process and evaluates. All areas are required for the role. - Business Strategy, Planning & Architecture: Diagnose a client’s business state (current or future) including strategy, business models, products and services, customers, competitors, organization, culture and financials. Develop business cases to support proposed major changes and new technologies. Calculate and plan business value of the proposed changes. Specify an approach to develop, define content, and measure results. - Strategy, Planning & Architecture: Has a well-established system for analyzing technology in an IT service/solution portfolio. Demonstrates years of experience presenting the portfolio and its alignment with business strategy to CxOs. Consulted organizations about deploying DA practices utilizing top DA models, including TOGAF and Zachman, Technology Solutions & Services portfolio assessment, Solution architecture, Technical planning & architecture. - Relationship & Stakeholder Management: Key contributor to strategic planning within client organization(s) who is regularly consulted by top business and IT executives. Have a strong multi-year history of pinpointing technology needs in relation to business strategy and needs. Presented solution initiatives to “C-suite” executives in business language that supports the overall strategy of the organization (i.e., R&D;, sales & marketing, Finance/Accounting, etc.). - Business Change Implementation & Management: Multi-year history of successfully driving major, enterprise-wide programs of change. Lead enterprise-wide projects or programs that achieved the desired results by specifying initial assessment of needs, organization, roles & resources, and the processes used to design, plan and execute. 10+ years of professional experience, including business consulting. Proven, successful work experience in Public Sector (viewed as an industry expert) and/or proven, successful work experience in an external services consulting & advisory role with Public Sector customers. Broad understanding of current and emerging Digital Solutions. Experience managing technology-enabled business change. Ability to generate trust, build alliances, and orchestrate interdisciplinary teams to the benefit of customers. Situational awareness to adapt and solve challenges from a business and technology perspective. Ability to balance strategic thinking with pragmatic operational execution and delivery, including the coordination of relevant resources. Empathy, curiosity, and desire to constantly improve, acquire new skills and drive for results. Consistent record of delivering business value, by bringing the benefits of technology to transform the customer’s business in clear and tangible ways. Ability to conceptualize, launch and plan the delivery of digital-enabled business change projects. Passion for technology, business, market trends and, most specifically, the Customer. Ability to become an advocate for Microsoft’s vision and value proposition. Recognized innovator with strong storytelling abilities to inspire growth mindset for the teams and the customers. Must be able to obtain government clearances. Microsoft Digital Advisors carry no sales quotas and are compensated solely by customer satisfaction metrics and the value that is created for customers as part of Digital Advisory Service engagements. However, in addition to delivery obligations, Digital Advisors perform presales business development activities and also act as post-sales advisory consultants. Candidates should have account management experience. Travel is an integral expectation of this position as the needs of our customers and our business demand. As much as 3-4 days per week of overnight travel may be required depending upon the accounts to which the Digital Advisor is aligned.